Here at Whisky Waffle we consider The Glenlivet 12yo to be a stalwart of our whisky cabinets, a solid, reliable drop that hits all the right spots when you want to wind down after a long day at work. So it was with surprise and a certain amount of dismay that we discovered that Chivas Brothers, owners of The Glenlivet distillery, intends to retire the 12yo. The new kid on the block was in fact 200 years in the making, or so The Glenlivet claims. The Glenlivet Founders Reserve is a Non-Age Statement (NAS) drop that attempts to replicate the original smooth, fruity drams produced by The Glenlivet founder George Smith in the early 19th century. According to The Glenlivet, master distiller Alan Winchester selects the best traditional aged oak casks and first-fill American oak casks to marry together to create the Founders Reserve. Chivas Brothers have revealed that the reason for the switch is continued growth in the age-stated whisky market coupled with limitations on the availability of aged stock. However, all is not lost, as Chivas Brothers have indicated that while they intend to use the Founders Reserve as a core product in certain markets, including the UK, it will not replace the 12yo on a global scale. What plans they have for the Australian whisky market we do not know at this stage, but to be honest we haven’t actually tried the Founders Reserve yet, so who knows, maybe the winds of change could turn out for the best? All I do know is that here at Whisky Waffle we will be waiting with bated breath. 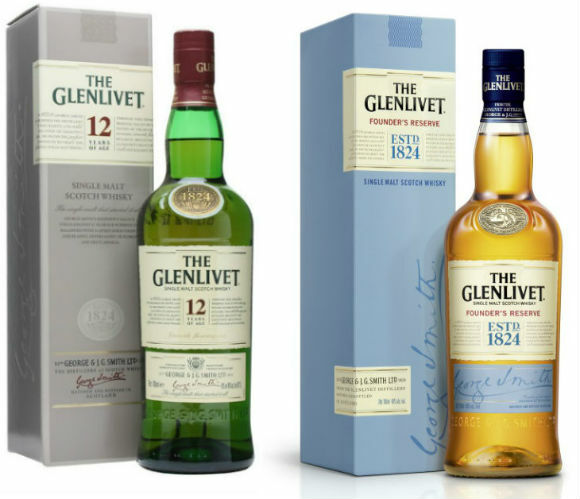 I’m honestly not a big Glenlivet fan – including the 12 year. However haven’t tried their NAS expression… and try to always keep an open mind. (which is why we prefer blind tasting). Not sure if you caught this already, but Whisky Lassie recently hosted a blind tasting of both Glenlivet 12 and the Founder’s Reserve – the later was preferred over the 12! Yeah, it’s interesting what people do and don’t like. Is it mainly the 12yo you don’t like, or are you just not a fan of The Glenlivet in general? We have a bit of a soft spot for it. We’re not claiming that it’s a world beater, but it has its place. Yeah, we’d be really keen to give the Founders Reserve a go. As I said in the article, I’m open to the potential that it might not be a bad thing. I’m generally not a Glenlivet fan… so it isn’t specific to the 12 year. 😉 However do agree it has its place the whacky wonderful world of whisky. Hope you get a chance to try the Founders Reserve soon!